This basic stockinette stitch hat is a no-frills classic in the knitting world. The pattern is simple to grasp and it's a perfect project for beginner knitters. Right after you make the traditional beginner's scarf, the next thing to make is this basic hat. This is also a pattern that you can come back to time and again whenever you need a quick hat. The stockinette stitch results in a hat that has a nice stretch. It also traps enough air between the rows of stitches to provide insulation in cold weather. The turn-up bottom flap allows the wearer to pull it down or push it up, so it will fit a wider range of people. The gauge for this pattern should be 3 1/2 stitches and 4 rows to 1 inch in the stockinette stitch when knitting in the round. The finished hat circumference is 20 inches, which will fit most adults. You won't need very much in the way of supplies for this project. Bulky yarn is preferred so your hat has some heft to it, but worsted weight yarn works just as well. Cast on 72 stitches using the circular needle. Join in the round, being careful not to twist the stitches. Work in K3, P3 rib for 3 inches. Work in stockinette stitch (knit every row) for 5 inches. With most of the hat knit, you will now start decreasing stitches to shape the crown. Every other row will result in 12 fewer stitches on your needles. Be sure to change to the double-pointed needles when you no longer have sufficient stitches to continue work on the circular needle. Thread yarn through the remaining 12 stitches and pull tight to close the top of the crown. Weave in all loose ends. 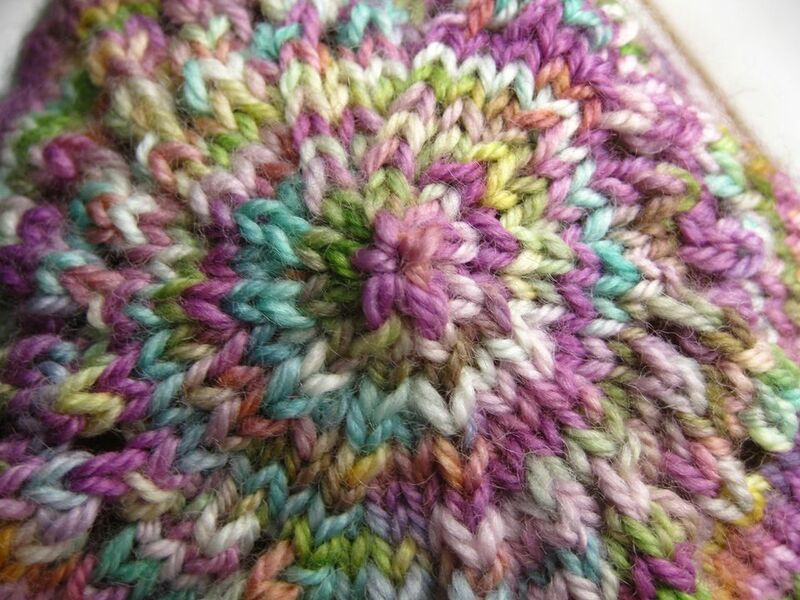 There are many things that you can do to customize this hat pattern, which is why it will be useful for years to come. For instance, when you make it again, try switching yarn colors to create stripes or knit it with a self-striping yarn. It's also a good project when you want to practice Fair Isle patterns and implement geometric shapes into a hat. You can add a pom pom to the crown of the hat if the wearer likes that look. It can be made from the same yarn as the hat, or you can use a contrasting color or a different weight of yarn. Alternatively, a tassel is another fun addition to the crown. It's also possible to turn this hat into a simple beanie by shortening the band. To do this, you will need to decrease the number of stockinette rows from 5 inches to about 3 inches, or a little less, depending on the person's head.